Season 37: Angelina Keeley reunites with mom. Toward the end of some seasons of Survivor, the remaining castaways are treated to an overwhelming and heartfelt surprise—visits from their loved ones. These special, and often tearful, reunions become some of the most talked about moments of the season as fans watch their favorite players reconnect with parents, siblings, and spouses. On Survivor: David vs. Goliath, 28-year-old financial consultant Angelina Keeley was reunited with her mother, who she embraced with tears in her eyes. "My mom is literally the strongest woman I know," Angelina told host Jeff Probst as the pair hugged. "I would not be the woman that I am without this woman right here." 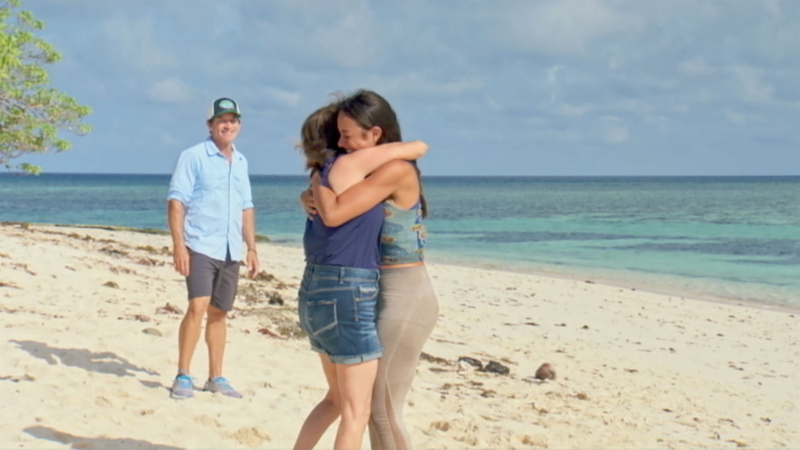 See Angelina’s heartfelt reunion with her mom in Episode 11 of Survivor: David vs. Goliath, "So Smart They're Dumb."